"Like us" to learn more about our products and services and upcoming balikbayan box sale. 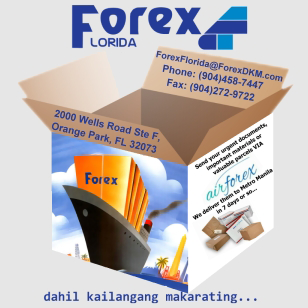 Forex Cargo Florida's Facebook Page consolidates our blog, social media presence and special promos all in one place. Please become a fan of our page on Facebook. And please tell your friends and family about it, too.